Excellent Strip Center with 14 leases (10 existing) has good cash flow $9000 a month. This retail center is a 16,203 square ft building located on 62,726 sq ft (1.44 AC) of area. Built in 1987 and zoned as CG (Commercial General). This center has 192 ft of frontage along West MacClenny Avenue and 293 feet of frontage along South Lowder Street. Utilities included are electricity, sewer, water, telephone and cable. Utilities are thru Florida Power & Light for the electric and City of MacClenny for the water and sewer. There are 13 suites total with one Bank ATM kiosk. Tenants currently occupy this strip center such are: Pizza shop, Barber, Beauty Parlor, Mexican restaurant, Nail Salon, Church, Pool store, Bank ATM, but owner working to fill up vacancies. Traffic Count in front of Rte 90 is 11, 700 cpd. Highest in all of MacClenny. Hard intersection SW Lowder. Across from a gas station, and cater-corner to a carwash and an Auto Shop. 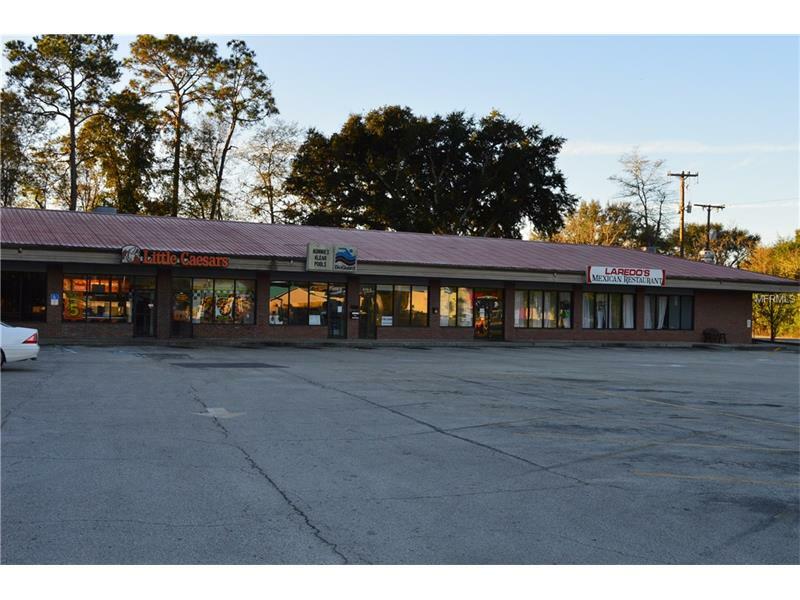 Prominent End Cap space is available with excellent frontage and signage on pylon This property is located directly on the corner intersection of West MacClenny Avenue and South Lowder Street.